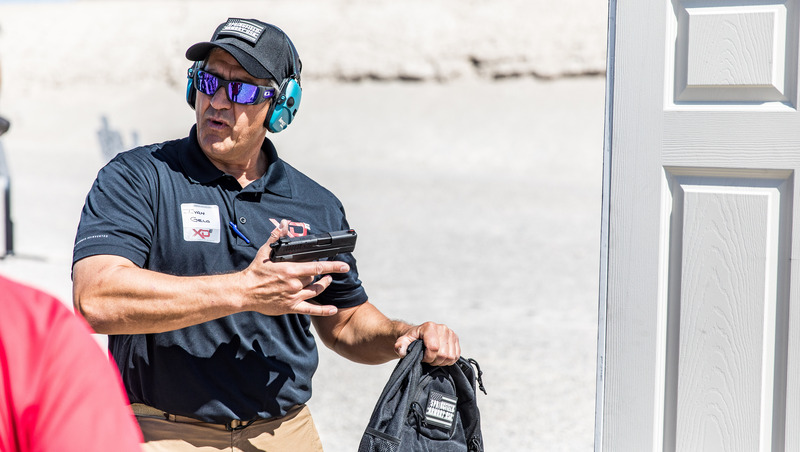 Most recently, over the past decade or so, I have carried either a Springfield Armory® Lightweight Operator® in .45ACP or a XD(M)® in 9mm in uniform duty gear, SWAT rigs and plain-clothes assignments. I like the Springfield 1911 and XD(M)® platforms, because they give me options in operating systems and modes of carry. Similar to the way my two different carry guns give me choices, the newly released DA/SA XD-E™ gives the armed professional or citizen even more advantages, all in one pistol. With its patent-applied hammer design, the 3.3"-barreled XD-E™ is one of the most diverse and flexible fire-control systems available. Proprietary exposed hammer and external manual safety that doubles as a hammer decocking lever (mechanism)—the trigger can be pressed, with a hammer fall, in either a double-action or single-action mode. The XD-E™ can be fired double-action first shot, with subsequent shots single-action (DA/SA). In DA/SA carry mode, the external manual safety can be placed and carried with the safety lever on (in the up position) or safety off (in a horizantal position). The XD-E™ can also be carried in SA mode with external safety on safe—"cocked and locked." 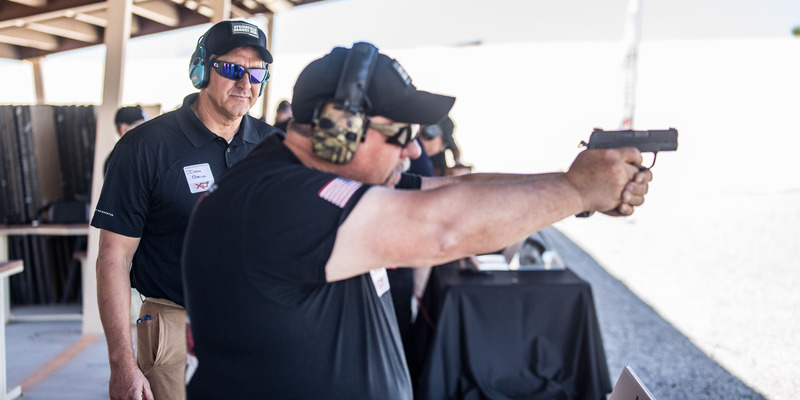 The most deliberate, safe carry method can be further benefited by having the system set up in “condition 3” with the chamber empty, full magazine inserted and seated, hammer down (or cocked) and the safety lever in the safe position. Probably the mode in which the XD-E™ will most commonly be carried is in DA mode with a loaded chamber, full magazine inserted, hammer forward (where the hammer is decocked once loaded) and manual safety off or off safe. If desired, for an additional mode of deliberate safety, the manual safety could be placed with the safety on. With the variety of trigger-system options and flexibility to carry with those options, the XD-E™ can be expressed as one of the most diverse and flexible pistols in the current market. The new XD-E™ line is yet another example of forward thinking, progressive engineering and user alternatives.